One of the most troubling and unwanted side effects of a laser hair removal treatment is getting what is called: Hypo pigmentation. Most people who think of laser hair removal safety usually fear side effects like skin cancer, or fear the pain that might be felt at the procedures or right after them. Most of the forum questions are concerning burning and scarring at those treatments. What people somehow miss is that the safety risk might be laser hair removal hypopigmentation – White spots. Hypopigmentation (white spots) is the real treat because it is permanent. In the laser treatment, light with high energy is projected at the skin. The different kinds of lasers produce different kind of light, depending on the laser wavelength each one has, these light waves can penetrate different levels of the skin. This light is aimed at the hair follicle to heat and damage it. Hypopigmentation can occur when the light projected is absorbed in large quantities by the melanin which is in charge of the color production in the body cells (eye color, hair color). The light rays can ruin or defect the melanin and by that harm the ability of the body to manufacture skin tone. The immediate effect will be that the new cells that reproduce at the treated area will be lighter that the surrounding, or even white (like the albino skin). Who is at risk for laser hair removal hypopigmentation ? The main people who are to be at risk for hypopigmentation will be candidates that their skin tone is dark. Darker skin tone means higher level of melanin production, and this implies that melanin will absorb significant levels of the laser light. When light tone skin melanin is destroyed it might not be seen as it happens at dark skin tone. Some people buy home laser systems from cheap unknown manufacturers and some of those have no safety procedures against projecting laser light at dark skin. When laser beam reaches dark skin, more pain is felt and side effects like hypo-pigmentation, burns and scarring may happen too. One home laser system called TRIA hair removal has a safety measure that locks the TRIA if the laser is beamed at a dark skin complexion. IPL systems like the Silk n SensEpil have different levels of light energy to choose from. Today there are new technologies that use even less energy per flash of light so they are safer to all skin types and especialy for darker skin tones which until now could not have been treated by light systems. You can check more information on the Me my Elos system and the Elos (IPL + RF) new technological breakthrough. How to treat laser hair removal hypopigmentation ? This side effect is permanent, it will rarely pass nor can it be reversible. This means the best way will be to try to prevent it! The most important tip to prevent this skin discoloration risk will be to go to the laser treatment with the highest contrast possible for you. This means at the end of the winter! When you go to the Med Spa at the end of winter, your skin has been away from the sun the long winter days, and the melanin has not been exposed to sun UV rays. Make sure not to visit any tanning booth two month prior to the laser treatment. Skin with lower melanin cells may be able to handle better the laser treatment (as long as the right laser is picked for you there) and there are less chances for hypo-pigmentation. Check with your laser clinic and doctor, to find out are you a right candidate for the treatment. If your skin is dark, you might want to think of using some skin bleaching creams to enlarge the skin-hair contrast. It is fine to trust the laser clinic to do a perfectly safe and professional job, but be ready to say goodbye to a few thousands dollars over the next few month for these treatments. 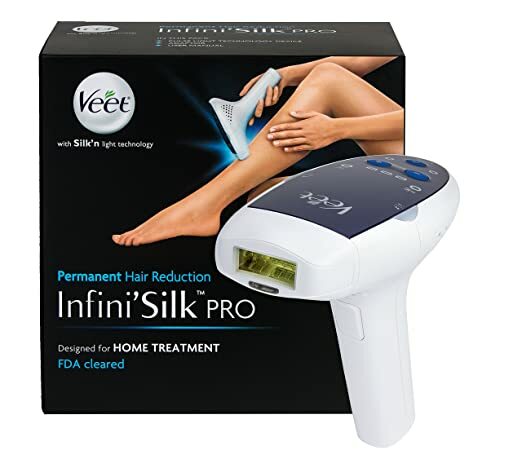 Many people decide to do the hair removal process at home, which means investing some money to buy the hair removal home kit. Doing home hair removal saves you quite a lot compared to the professional clinic sessions, be sure NOT to buy outdated laser machine from a laser clinic – Lasers made for clinic use are more dangerous if you are not a proper laser technician. To prevent hypo-pigmentation at home invest in a home system which comes with skin tone safety measures – The home laser that has dark-skin laser beam lock is the TRIA hair removal system. You may not be aware but today there where some breakthrough in the IPL technology that mean there are new hair removal machines for home use that can treat darker skin tones, like olive skin, light brown tone and tanned skin (not black). The big technological innovation includes using two methods IPL & RF (radio frequency) in one home system. So the light energy that is used is decreased (and safer) and is even more efficient thanks to the RF (radio frequency) heating that is combined with it. Using less light energy means the risk of burns, scarring or hypo-pigmentation and other skin discoloration is lower than any competing home system. See more for Me my Elos hair removal review. This entry was posted in Skin Discoloration and tagged hypopigmentation safety, laser hair removal hypopigmentation, laser hair removal pigmentation, skin hypo pigmentation by admin. Bookmark the permalink.